Busy women in NYC are on a constant mission to keep their manicures and pedicures looking great. Every woman experiences the sudden surprise when they look down and find their nails are chipped. A busy schedule means you don’t have time to dedicate to long term manicure care. However, there are a few secret tips that will successfully get you to your next nail appointment. Touch Up – A nick or chip in your nail polish can be obvious. Many women have a signature color they use frequently. The most common colors are natural pink, red and French manicure. If you are one of the women that have a signature manicure look there is an easy fix. Purchase the same color nail polish that is used in the salon where you get your manicure and pedicure. Carry the nail polish bottle in your purse to do touch-ups at any time. Use a Top Coat – Use a salon brand clear top coat a few days after your manicure. It will increase the shine and protect your nail polish from chipping. Don’t forget to do your toes as well. Moisturize – Dry hands and cuticles can make a manicure look dated quickly. Keep your cuticles in good condition by applying a moisturizer such as Vaseline before you go to bed and wear gloves while you sleep. In the morning your cuticles will be soft and presentable. Fix Jagged Edges – Somehow jagged nail edges appear out of the blue. Carry an emery board with you at all times and carefully repair any snags. This is also a good time to touch up the color or add a clear top coat to protect your nail color. Eat Healthy – A healthy diet keeps nails strong and in good condition. Include fresh vegetables, fruits and plenty of water in your daily diet. Don’t Cut Your Cuticles – It is best to leave cuticle trimming to a professional. However, you can care for your cuticles by gently pushing them back towards the nail bed. Wash Under Your Nails – Whether you have short modern nails or long sophisticated nails you need to keep them clean. You will be disturbed to learn that bacteria can grow underneath your nail tips if not kept clean. To prevent dirt and bacteria from gathering under your nail tips clean them every time you wash your hands. This can be easily achieved by simply using your other nails to remove any dirt and grime. There comes a time in every woman’s schedule when she can’t make it to her nail appointment. You might have been able to salvage your manicure and pedicure for a while, but at this point, you will need a fresh start. Follow the DIY manicure and pedicure tips below for healthy looking nails. Remove Old Nail Polish – Use a piece of soft cotton and nail polish remover to get rid of your prior nail polish color. Make sure to remove the polish from the nail bed. Most nail polish removers clean the nail and strip the natural oils. This allows the nail polish to adhere easily. Quick French Tips – This tip is for women with natural nails. Use a white manicure pencil to color underneath your nail tips. Then use a clear of soft pink clear top coat on your nail. This will make your nails look like they have a French manicure in just a few easy steps. You can do the same for your toes. Change the Color – You can do a quick change of color by removing the nail polish and re-painting. Use a fast drying nail polish to save time. Pedicure in the Shower – Remove dry skin by using a special pedicure file. This will reveal healthy smooth skin on your heels and toes. Moisturize after every shower to keep your skin soft. The next generation of non-liquid nail polish has swept the nation. This easy and quick fix is essential for the women on the go. It only takes a few minutes to accomplish. Remove your old nail polish and stick the new one on. It’s that easy! NYC women that are swamped with work, children, responsibilities and obligations might not have time to even try stick-on nail polish. If this is the case for you, there is still a solution. Quickly remove the old nail polish and use an emery board to file your nails. Invest in a high-quality file that has three uses such as file, buff, and shine. The shine portion brings out your natural oils and keeps your nails looking healthy. Keeping your hands and feet perfectly manicured is not only for style purposes. People often believe the condition of a person’s nails reveals a lot about their lifestyle. Chipped, unpolished, dirty or frayed nails can cause others to see you in a negative light. Avoid people from misjudging you by keeping your manicure and pedicure in top condition. Use the easy DIY steps and preventative measures listed above to help you get to your next salon appointment. 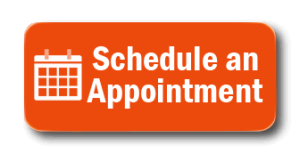 The Ethan Rose Salon deeply understands a busy woman’s schedule in the New York City area. This is why they have created the 3 in One Blow Out, Mani & Pedi Service in just one hour.